Analytics lives in the core of every business. 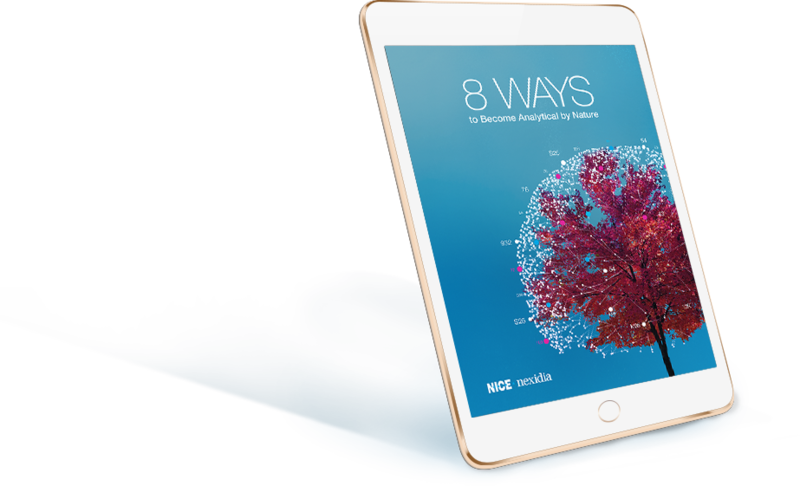 NICE Nexidia has been recognized as a Leader by Forrester Research in its 'The Forrester New Wave™: AI-Fueled Speech Analytics Solutions, Q2 2018' report. 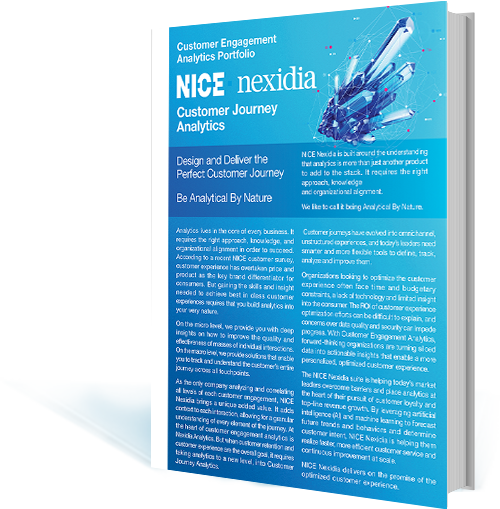 NICE Nexidia aims to transform organizations by instilling analytics so deeply that it becomes second nature. 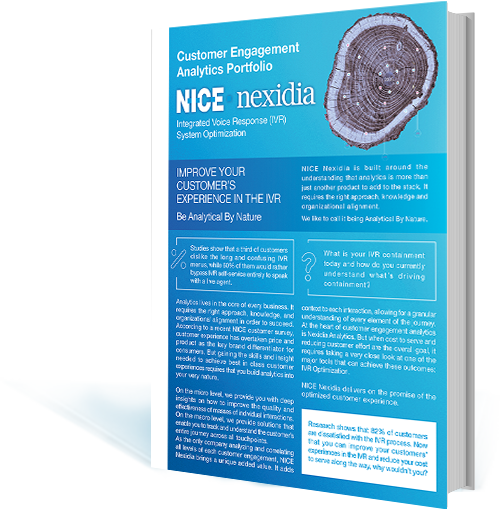 NICE Nexidia helps uncover valuable insights about customer behavior over their full journey with the enterprise, create long-lasting relationships with them, and improve their business outcomes. Our solutions have proven to bring winning practices to all interactions-oriented operations. Read more on how we transform organizations, making analytics their second nature. Our comprehensive analytics framework is supported by advanced technologies and methodologies. With analytics built into your company’s very nature, you are on the right track to positive business transformation. As the only company analyzing both the masses of individual interactions and full customer journeys, we bring the widest possible understanding of customer intent and behavior. Designed to turn your customer interactions into actionable results, our purpose-built analytics will let you measure your progress in meeting your goals, whether in customer satisfaction, or churn reduction. As the market leader in interaction analytics, we empower companies worldwide to take on analytics as a transformative organizational force. So it’s only natural that the world's leading companies trust us to perfect their most precious asset: their customer interactions. 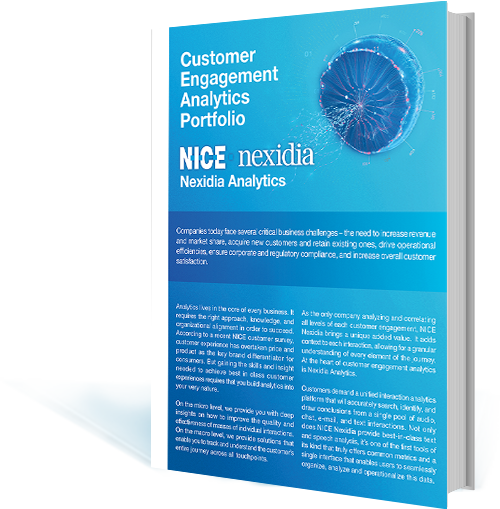 Learn more about how Nexidia Analytics uncovers valuable insights. 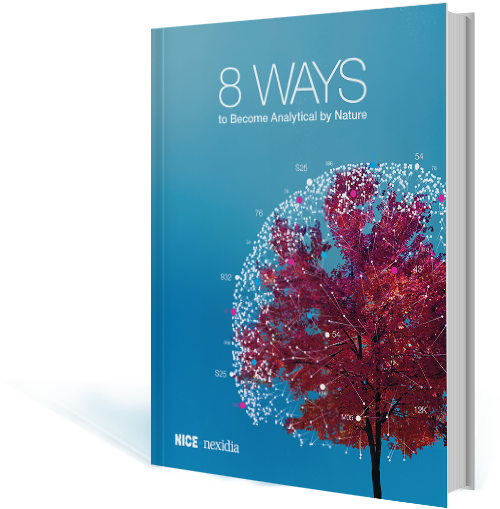 Become an analytics expert and make analytics your second nature. Find out how to design and deliver the perfect customer journey. Understand how to improve your customer’s experience in the IVR. Copyright © 2018 NICE Nexidia. All rights reserved.